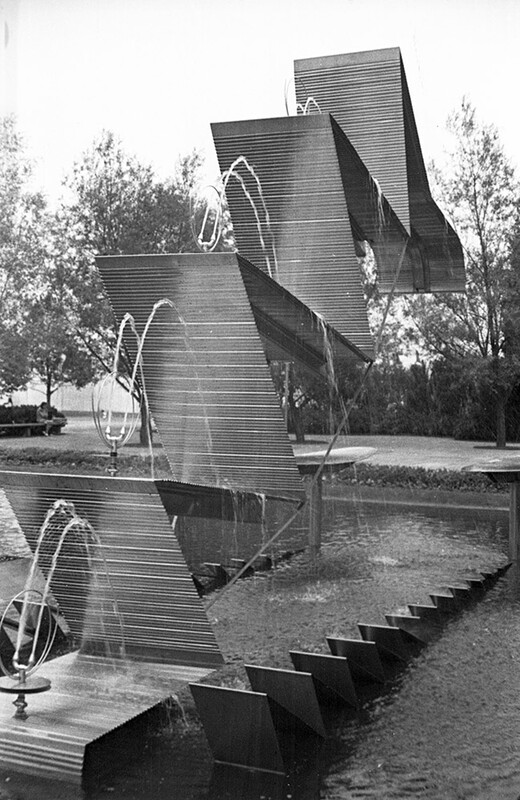 Can anyone ID this fountain? Mystery solved! 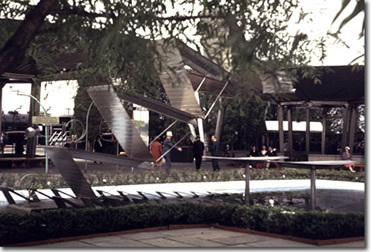 Tentative caption for the new book: "There was also a stainless steel sculpture at the Budd Manufacturing exhibit in the Transportation Zone. It was there to demonstrate the versatility and durability of Budd’s “Shotweld” process for working with stainless steel, which was used for the exterior of the company’s railroad cars." From the Ott family collection. 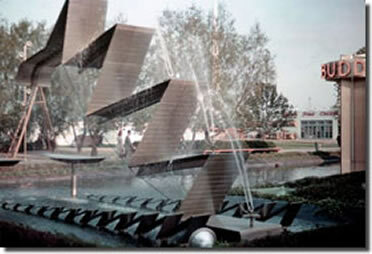 Budd is also said to have manufactured the lightning bolt sculpture in front of the General Electric Pavilion, using the same process.